The grass glitters in the morning sunshine. Ashley's eyes glitter when she looks at her boyfriend. Glitter is also a sparkling reflective brightness. The glitter of all the fancy dresses brightened the party. The glitter of fame is overrated; people want to take selfies with me at the grocery store. There is an expression, “All that glitters is not gold.” It means that somethings are not as good or valuable as they appear. It can apply to a piece of jewelry or to a politician who makes promises that he knows he cannot keep. 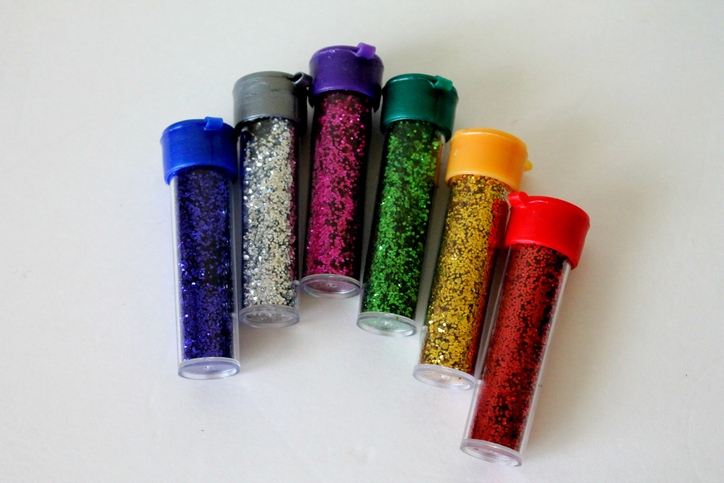 Glitter is also tiny pieces of sparkle that are used for crafts. Children often glue glitter to the pictures that they make at school, and young people use glitter on their faces and hair when they go to festivals or music events. Watch Mariah Carey in the trailer for her movie Glitter. Do you think they call it Glitter because of her career or her glittery dress? There are other meanings of glitter.